Is your driveway cracked? Does it have holes that look like a meteor may have landed on it? At Seal King Professional Sealcoating, we are your premier driveway repair company that can restore your asphalt and make it look brand new once again. For 27 years our company has taken some of the worst asphalt driveways and parking lots and revived them at an affordable price. Is your garage apron looking like a hot mess? At Seal King Professional Sealcoating, we can turn that frown upside down. 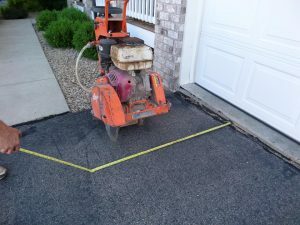 A Sunken driveway right were the garage and driveway meet is a common problem we handle all the time At Seal King Professional Sealcoating, we are experts at garage apron repair and replacement. With over 25 years under our belts, fixing your garage apron has never been so easy! 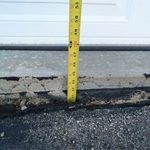 Does the area that connects your driveway to your garage need some repairs? This part of your driveway is known as the garage apron. A garage apron keeps your driveway and garage properly aligned, providing a smooth transition between the two areas. Over time, your driveway can begin to sink, causing a gap of space in your asphalt that can create damage to your driveway and garage floor. By keeping your garage apron in tip top shape, this will limit the damage that occurs on your driveway or garage floor. If you are in the Minnesota or Wisconsin area and your garage apron is in poor shape, leave your garage apron repairs up to the professionals. Our specialists at Seal King Professional Sealcoating can handle all of your apron repairs, whether they are small or large. At Seal King, we aren’t just a commercial parking lot sealcoating company, and we don’t just do residential driveway sealcoating. We’re asphalt experts who specialize in all things asphalt, from commercial sealing to residential asphalt repairs. 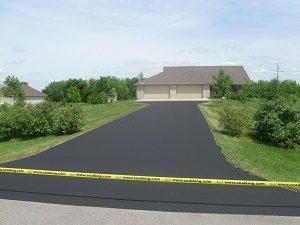 We make it our business to make sure anyone with asphalt surfaces in Wisconsin and Minnesota is getting the highest quality sealing services for the best price. We aren’t like the companies that will sell you on their “$99 discounted sealcoating,” which is code for shoddy work! We put in the time and expertise needed to properly seal and repair any surface, anywhere, guaranteed. Winter is here, and that means the melting and freezing times of fall and spring are going to affect our asphalt and repairs may be in the near future. 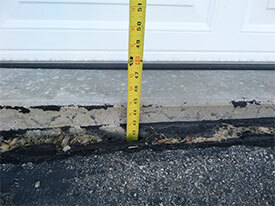 Oftentimes because of our extreme weather in Minnesota we have a lot of issues with asphalt and concrete. During the times when we have periods where there is a lot of freeze and thaw within a short time span, this can cause damage in your asphalt. Although asphalt can last through hard times for a few years, eventually all asphalt will change in color and texture and that is inevitable. 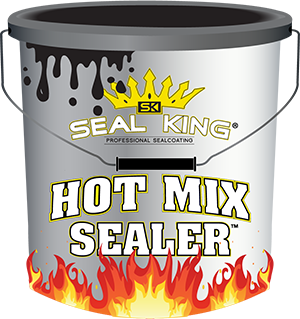 When you live somewhere like Minnesota, it is important to build a relationship with a trust seal coating company and that is why Seal King is here to provide you with great service for the most affordable price in the industry. Your home is an invest in and of itself, and every bit of work you put in to maintaining, repairing, and improving your home helps to maintain the value of that investment. That includes any work done on your driveway and apron. Especially with asphalt driveways, regular maintenance is necessary to keep your driveway looking as new and pristine as possible. That said, after a while, even the best-laid driveways can fall apart, springing cracks and breaks that are too noticeable to ignore. When this happens, you need an asphalt repair company that can completely repair your asphalt and have it looking good as new. 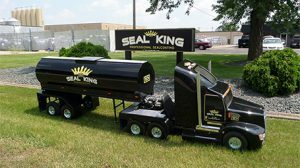 At Seal King, we pride ourselves on the work we do, and we understand the complications of repairing asphalt driveways and driveway aprons. That’s why our Minnesota asphalt repair services are in demand all over the state! When the phrase apron comes to mind, most people think about what you wear when cooking. However, if you are regularly around asphalt, an apron has a different meaning. 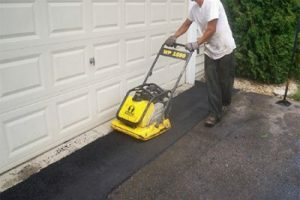 Driveway aprons are used to blend the entrance from the road or curb to your driveway and from your driveway to your garage. Depending on your property, your driveway may have a decorative aspect to the apron at the end of your driveway, however the primary purpose of a driveway apron is to stabilize your driveway and the foundation of your garage so that they are completely level. The smooth transition from the sidewalk to your driveway or from the driveway to your garage are all thanks to your driveway apron. But, what happens if your driveway apron has broken down over the years? The brutal Minnesota weather can definitely take a toll on your driveway apron over time. 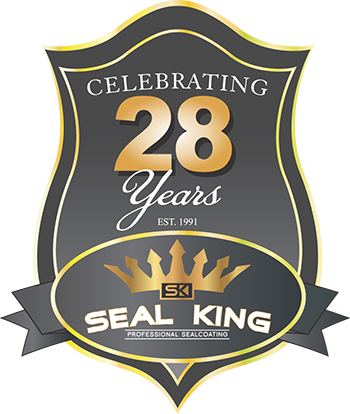 The good news is that our team at Seal King Professional Sealcoating can handle all of your driveway apron repair needs.